Are you wondering how to speed up metabolism and burn fat? Forget about diet pills, fat burners, and so-called metabolism boosters. These things have little or no results. The best ways to boost your metabolic rate, such as intermittent fasting, metabolic resistance training, MCTs, and carb cycling, are actually less known to the public. Athletes and bodybuilders have been using these strategies for decades, but most people have never heard about them. Personally, I’ve tried each and every of these strategies and they do work. I got the best results with intermittent fasting, especially for breaking weight loss plateaus. 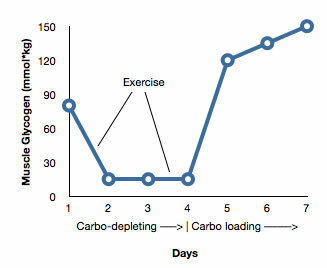 My clients are always surprised to see that they can actually lose fat by loading up on carbs once or twice a week. This strategy is known as carb cycling and provides amazing results. An overwhelming number of studies have shown that intermittent fasting increases metabolism and helps you break through plateaus. When you don’t eat for at least 16 hours, your muscle glycogen stores are almost empty. As a result, your body is forced to use stored fats for energy. Many athletes and bodybuilders are afraid that intermittent fasting will slow down their metabolism and cause muscle loss. As long as you don’t fast for more than three days, there’s nothing to worry about. Your metabolism will decrease only after 72-96 hours without food. As far as muscle loss is concerned, you may only face problems if you fast for 28 hours or more. After 28 hours of fasting, your body will start using liver glycogen stores. For this reason, you should have a protein-rich meal and/or amino acids as soon as your fast is over. The bottom line is that intermittent fasting diets speed up metabolism, turning your body into a fat burning machine. Are you familiar with carb cycling? 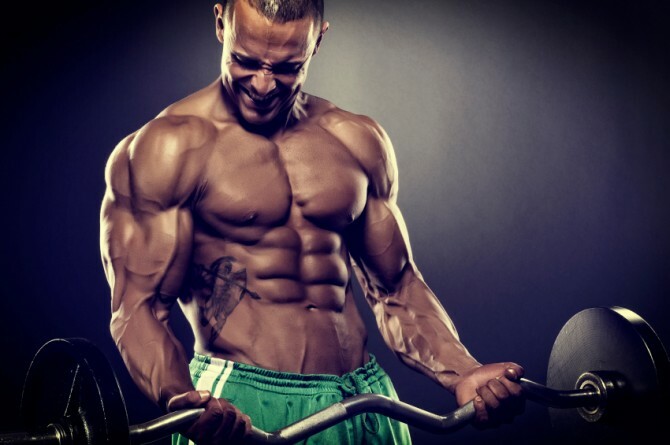 This approach is very popular in the bodybuilding world. It’s also a favorite choice for those who follow cyclic ketogenic diets. Depriving your body of carbs several days in a row and then loading up on carbs for one or two days will keep your metabolism high. High carb days should be placed on your heavy training days. When you load up on carbs, your fat intake should be kept to a minimum. There are many ways to implement carb cycling. For example, you can eat less than 30 grams of carbs a day for five days in a row, followed by two consecutive days of carb loading. Stick to your daily calories and choose complex carbs from whole grains, brown rice, whole pasta, sweet potatoes, and oatmeal. Of course, things are a little more complicated, but that’s another story. What you should remember is that carb cycling is one of the best ways to speed up your metabolism and burn more calories at rest. MCT (medium-chain triglycerides) oil has gained a lot of popularity over the past few years. This essential fat can be found in coconut oil and palm kernel oil. Unlike other fats, it’s easily digested and metabolized. MCTs are transported directly to the liver. These compounds boost thermogenesis, causing your body to burn more calories throughout the day. Research indicates that MCT oil increases metabolism and has strong appetite suppressing properties. It also strengthens your immune system, lowers your risk of heart disease, and provides lasting energy. Many patients with gastrointestinal diseases are fed with MCTs because these compounds don’t require bile salts for digestion. The best way to get MCTs in your diet is to cook with coconut oil, add it to smoothies, or use it in soups and salad dressings. Strength training increases metabolism, causing your body to burn fat long after your workout is done. However, some workout techniques are particularly effective for fat loss. This includes metabolic resistance training, which combines both cardio and strength exercises. If you’re tired of your old workout routine, MRT is a great choice. This kind of workout involves supersets, low rest and compound movements, circuits, and high-intensity interval training. When done right, it will spike your metabolism and boost your ability to build muscle. For best results, keep your weights heavy and your rest periods short. Eating protein in the morning is a simple yet effective way to boost your metabolic rate. A slow metabolism often indicates insulin resistance. In the morning, your insulin levels are high. If you eat carbs for breakfast, insulin will raise even more, leaving you tired and fatigued by noon. I’ve actually covered this topic here: Want to Lose Fat? 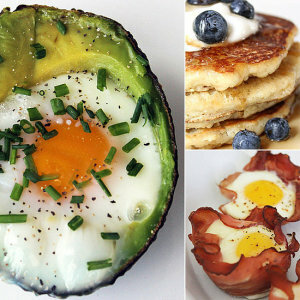 Skip Carbs at Breakfast! A high-protein breakfast will keep you full longer and speed up metabolism. Not to mention that you’ll have constant energy throughout the day. The foods you eat for breakfast can increase or slow your metabolic rate. Maybe it’s time to rethink the high-sugar, high-carb breakfast you’re used to. Swap bagels for bacon, egg, and cheese to keep your metabolism high and burn fat.